Consolidation of record labels and music catalogs continues in the independent roots realm with more big moves being made in the last week. Concord Bicycle Music, which has been on a big buying streak lately, has acquired the George Jones label imprint Bandit Records. The label includes master recordings for the George Jones releases The Rock (2001), The Gospel Collection and Hits I Missed”¦And One I Didn’t (2005), Kickin’ Out The Footlights Again (with Merle Haggard) (2006), and the duets album Burn Your Playhouse Down (2008). The label also includes the rights to various other George Jones compilations, and some masters from Roy Acuff. In another deal, Concord Bicycle has acquired the library of Americana label HighTone Records from the previous owner Shout! Factory. HighTone was an Okland-based label that released albums from Dale Watson, Buddy Miller, Tom Russell, Rosie Flores, Joe Ely, Jimmie Dale Gilmore, Gary Stewart, Julie Miller, and many more. HighTone was started in 1983, and sold to Shout!Factory in 2008. 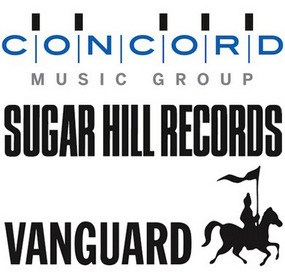 In April of 2015, Concord Bicycle acquired the major roots labels of Vanguard and Sugar Hill, and then two smaller labels Fearless Records and Wind-Up Records in May, giving them an annual revenue of an estimated $140 million at the time. The new acquisitions will add significantly to that number. Then on Wednesday (1-20) it was announced that Dualtone Music Group—the home of artists like Shakey Graves, Shovels & Rope, Guy Clark, Robert Earl Keen, The Lumineers, and Langhorne Slim—has been purchased by Entertainment One, also known as eOne. The company is most known as a television and film content acquisition and distribution company, but it has also acted as a record label for numerous artists, including Shooter Jennings, Stoney LaRue, Fifth on the Floor, and Sundy Best in the country and roots realm. Dualtone has released nearly 300 albums since being founded in 2001. Dualtone will continue to operate under its own name and brand identity. Just out of curiosity, will these acquisitions mean anything from a consumer stand point? That’s a good question. In the short-term, they could make the music of these catalogs more accessible as the new owners try to monetize their assets. You’re also more likely to hear this music featured in a film or TV show. The big concern is that by consolidating so much independent music in the hands of the few, the next thing that could happen is these small companies get bought up by bigger ones, and then all of these assets end up under one big corporate roof. The spirit with which a lot of these labels were founded on was an independent one. Now they’re just blended in with multi-million dollar catalogs looking to leverage every last dollar out of them as possible, regardless of the repercussions of the legacies of the artists who originally made the music. So does the new label have to honor an existing contract with the artist or is it starting fresh? In regards to Bandit and the labels that are already defunct, this is just a transfer of ownership of masters and libraries. Every piece of recorded music is owned by somebody, and it’s usually not the artist. These labels are trying to put together bigger libraries to then try to make money off of them. In regards to Dualtone, it appears it will still operate as its own subsidiary, so I don’t think it would affect the contracts of any of the respective artists, but I’m really not sure. From what little I’ve seen, Concord has made a point of reissuing a lot of the material they’ve bought in new compilations or just getting the original albums back out there. I’m a big Creed fan, and they pretty much single-handedly made Wind-Up Records in the late ’90s and early 2000s. Concord spit out a 3-disc B-sides and rarities compilation for the band in November that I was especially grateful for, so there’s that. They seem to be doing similar things for artists on their roster. They’re even talking about putting out Creed’s catalogue on vinyl, which is interesting since it hasn’t appeared in that medium before (save for an extremely limited issue of their 1999 album Human Clay that I managed to get my hands on for a whopping 70 smackaroos, and that was about half as much as they go for on average). So, consolidation and all of the problems it seeds aside, there seems to be a genuine interest on the part of the company to do some stuff with the music they purchase. Also, they’re honoring Creed’s original contract with Wind-Up for seven albums (assuming they ever resume activity), so I assume the same would hold true for any other artists. Hmm maybe I should get in on this. Could be a good business move. I can take apart my spaceship (didn’t do me much good last time anyhow; couldn’t find a planet free of bad music AND Gary LeVox ate my cheetos) and turn it into a transmitter, play some music and call it a station and see if anybody wants to buy it for a ridiculously high sum of money. If I sell it for enough money I can quit my job as one of Dr. Doom’s four horsemen. I gave LeVox Cheetos laced with cyanide once. It only made him more powerful and shrill.